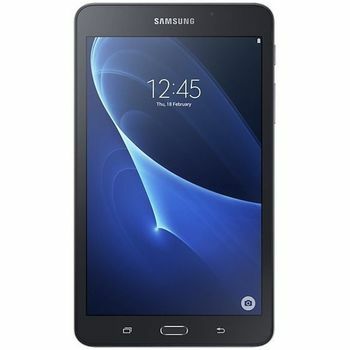 This 7inch Samsung tablet is sleek and easy to carry. At 186.9mm x 108.8mm x 8.7mm and 283g, this device will even fit in your pocket. It has a specially patterned back that gives you a stable grip. The insides of this device tell an entirely different story. This WiFi tablet has an internal memory of 8GB that can be expanded up to 200GB via a microSD memory card. A Cortex A53 1.3GHz Quad Core processor and a 1.5GB RAM keeps everything running smoothly. The mighty 4000mAh Lithium Ion battery embedded in this tablet has about 11 hours of mixed usage to offer. The Samsung Galaxy Tab A T280 2016 has an aesthetically pleasing form factor that accommodates high end technologies. This includes the dual cameras on the front and back. You have a 5MP rear and a 2MP front camera that help you capture those endearing moments in crisp clarity. You can create vertical and horizontal panorama shots or fun animated Gifs and send them to your friends and family. The Samsung Galaxy Tab A T280 2016 has an ergonomic design that makes it easy to grip. The Kid Mode 4.0 helps you control access to apps and content with just a few clicks. It allows your children to learn digitally or play appropriate games, unsupervised, while you can go about your day stress free. Not only that, you can save the pictures they draw or click, so you dont miss anything they created while you were busy. DECEPTIVELY SLEEK This 7inch Samsung tablet is sleek and easy to carry. At 186.9mm x 108.8mm x 8.7mm and 283g, this device will even fit in your pocket. It has a specially patterned back that gives you a stable grip. The insides of this device tell an entirely different story. This WiFi tablet has an internal memory of 8GB that can be expanded up to 200GB via a microSD memory card. A Cortex A53 1.3GHz Quad Core processor and a 1.5GB RAM keeps everything running smoothly. The mighty 4000mAh Lithium Ion battery embedded in this tablet has about 11 hours of mixed usage to offer. CLICK IT CRISP The Samsung Galaxy Tab A T280 2016 has an aesthetically pleasing form factor that accommodates high end technologies. This includes the dual cameras on the front and back. You have a 5MP rear and a 2MP front camera that help you capture those endearing moments in crisp clarity. You can create vertical and horizontal panorama shots or fun animated Gifs and send them to your friends and family. 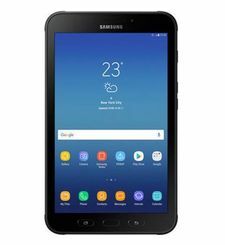 KIDS CAN PLAY WHILE THE ADULTS ARE AWAY The Samsung Galaxy Tab A T280 2016 has an ergonomic design that makes it easy to grip. The Kid Mode 4.0 helps you control access to apps and content with just a few clicks. It allows your children to learn digitally or play appropriate games, unsupervised, while you can go about your day stress free. Not only that, you can save the pictures they draw or click, so you dont miss anything they created while you were busy.